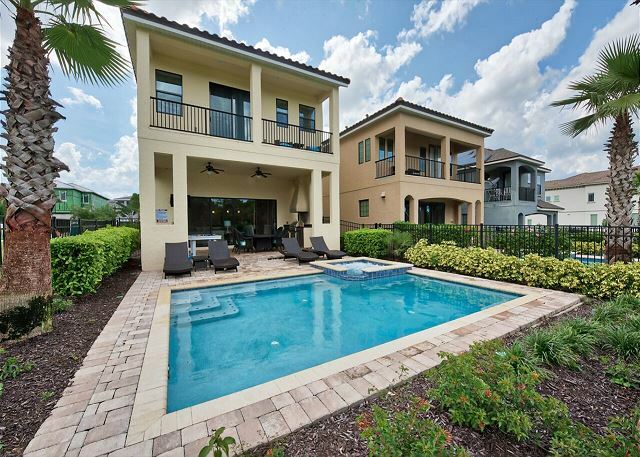 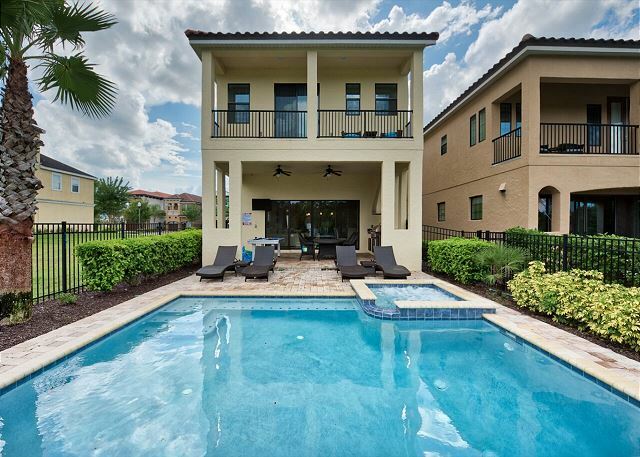 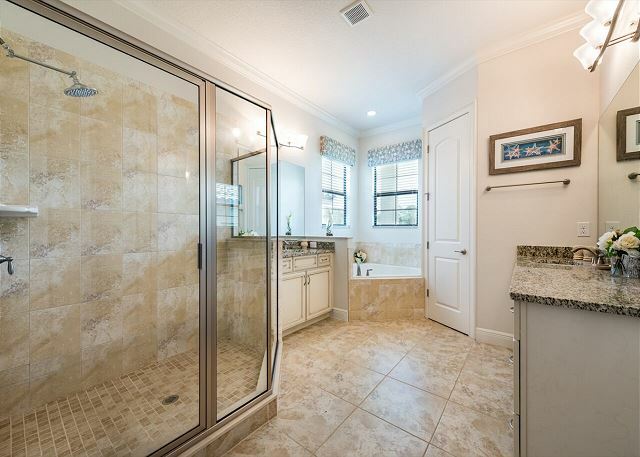 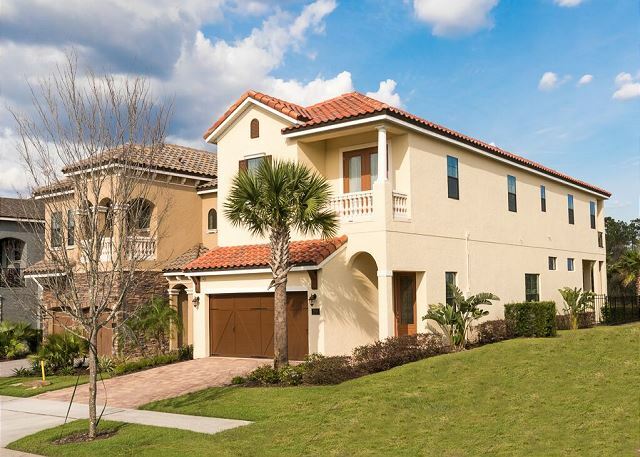 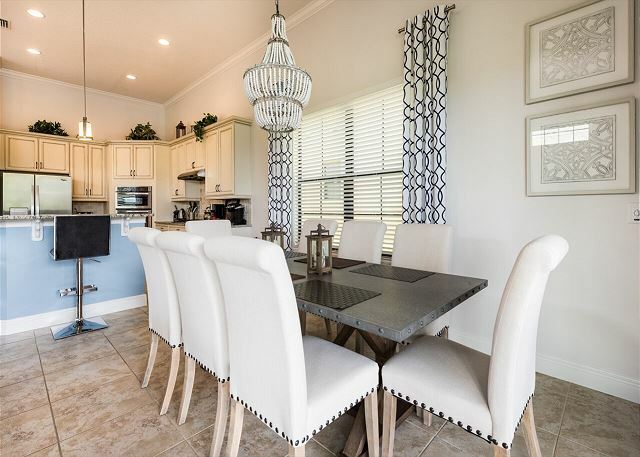 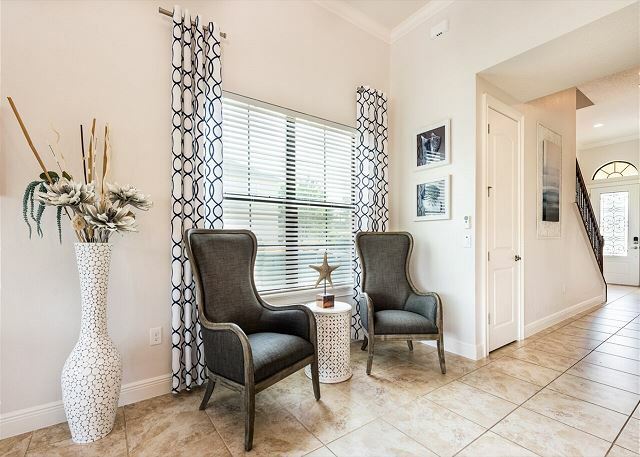 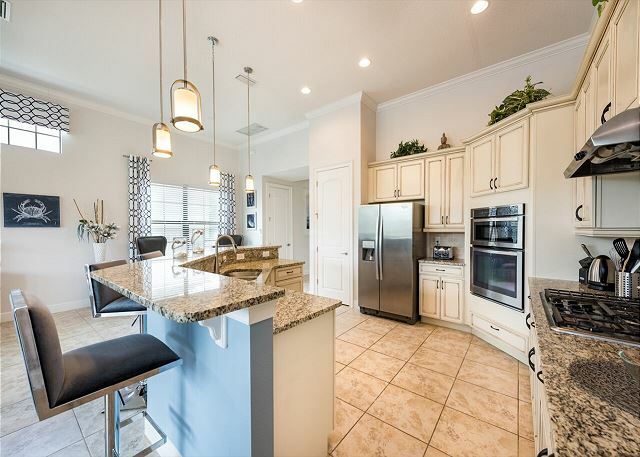 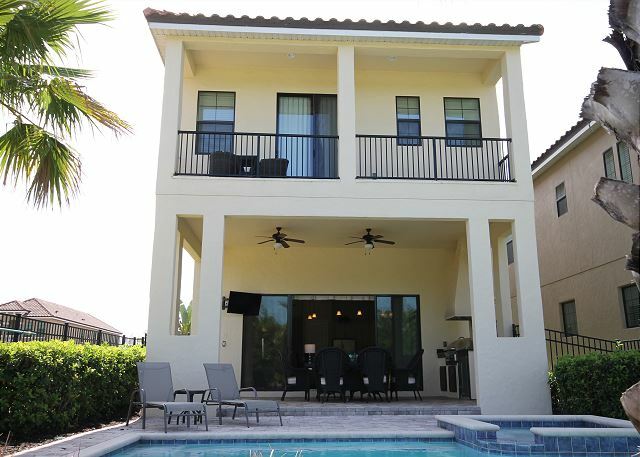 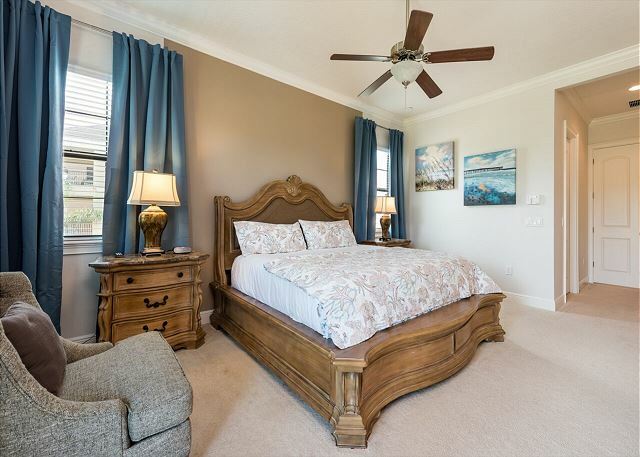 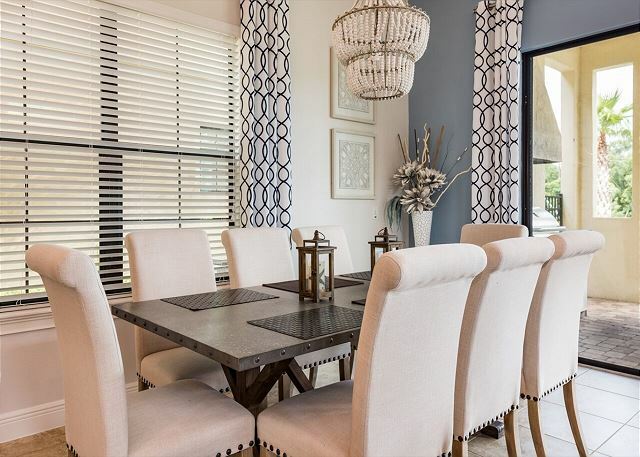 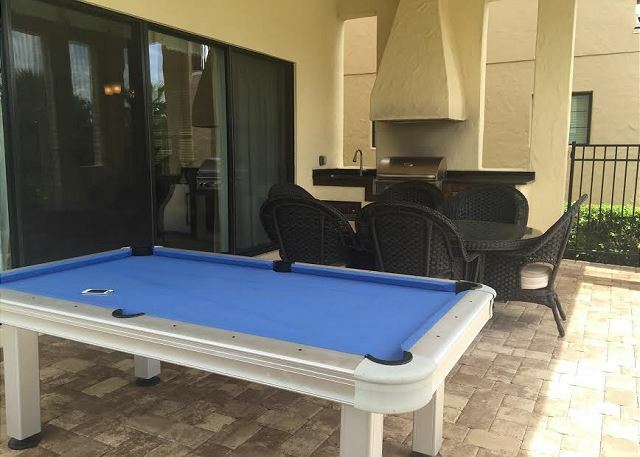 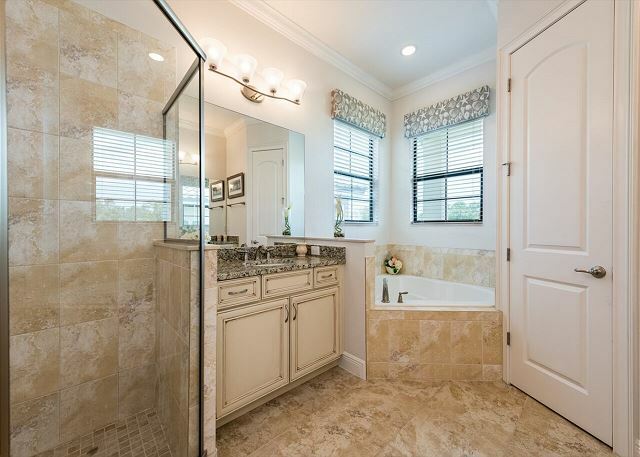 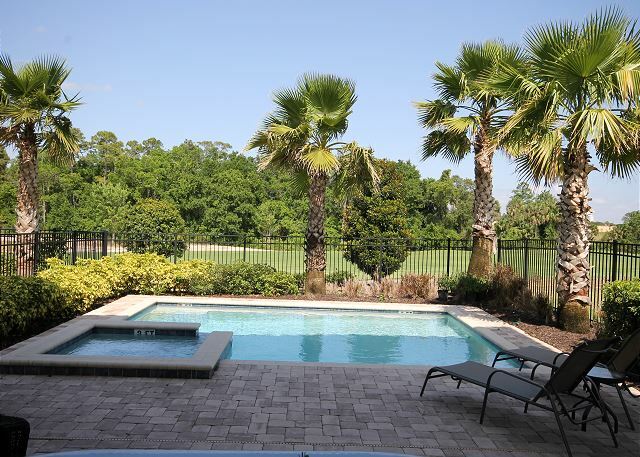 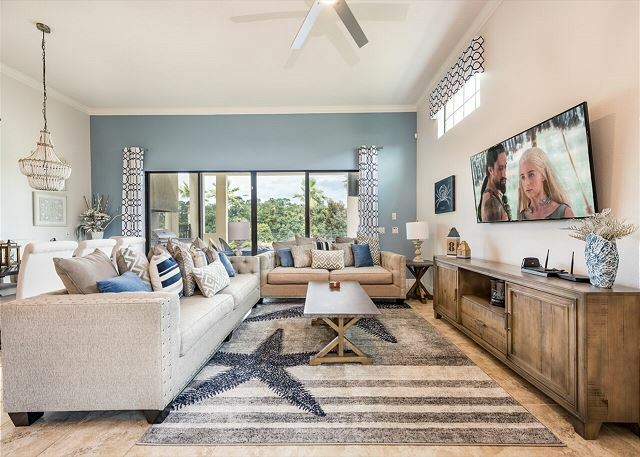 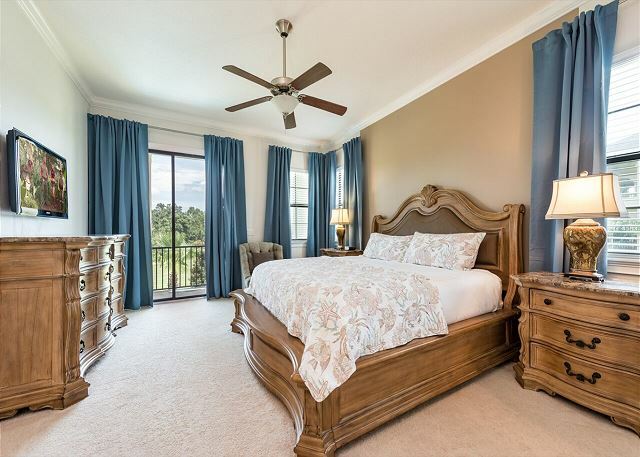 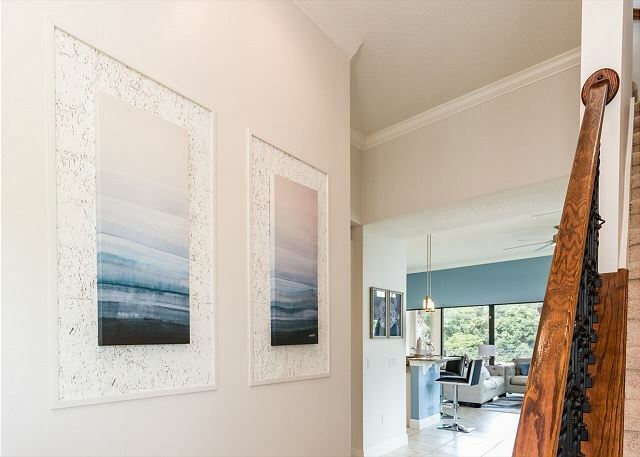 This spectacular Newly Remodeled Reunion Resort pool home is situated with beautiful views of the the famous Nicklaus PGA golf course. 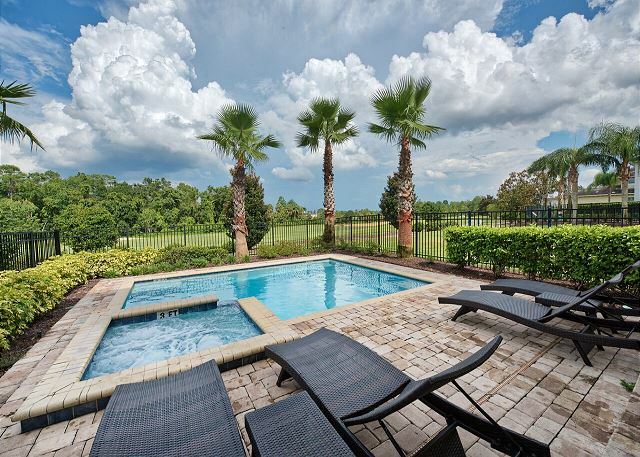 The view from this home is absolutely amazing! The home boasts a fantastic layout for 2 families or one large family with plenty of room for everyone. 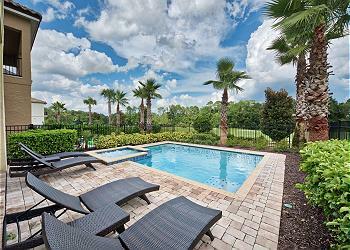 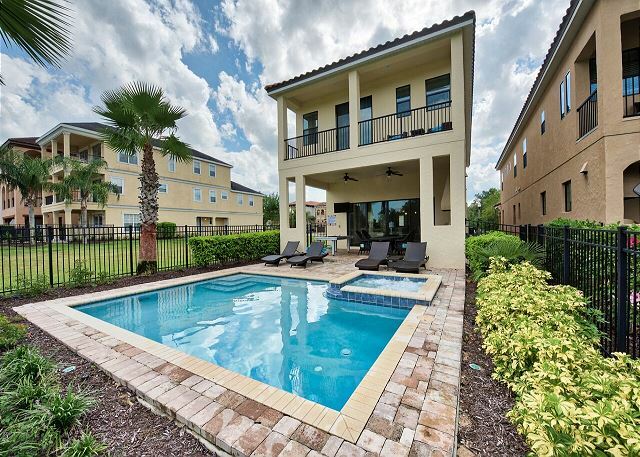 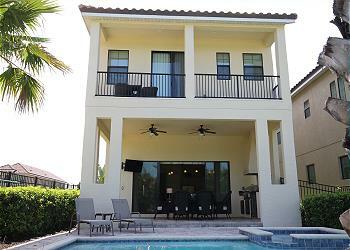 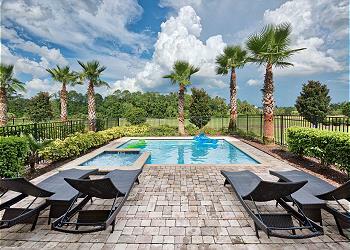 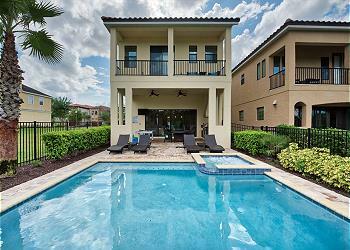 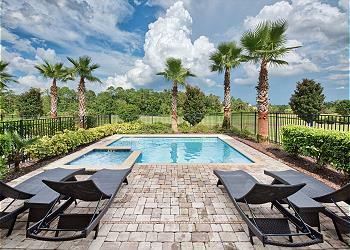 Step outside to the huge covered lanai overlooking the large private pool with spill over spa. 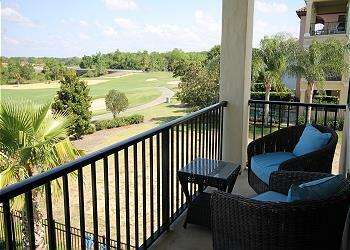 Again, the view is amazing from the pool deck area. 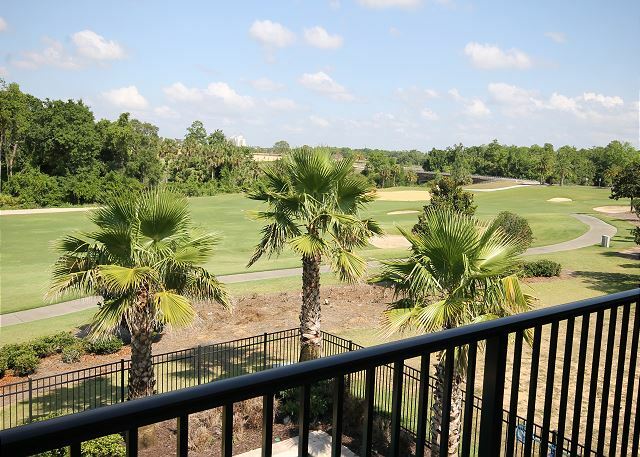 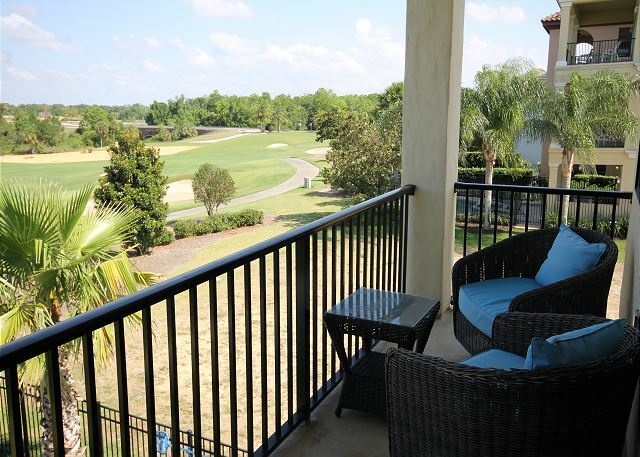 It's perfect to sit and relax while having a coffee, enjoying a swim, or just taking in the beautiful view of the golf course (especially during sunrise). 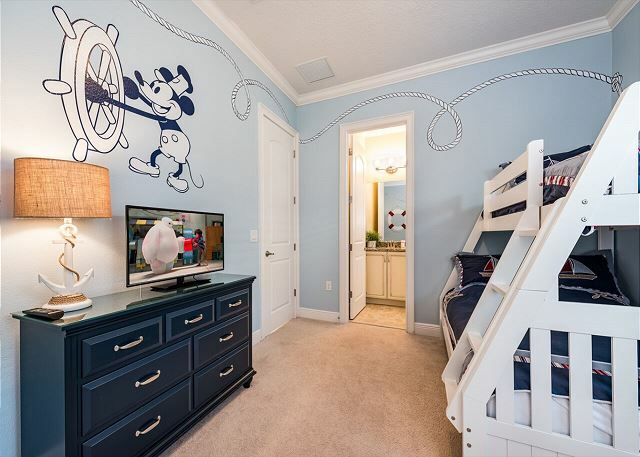 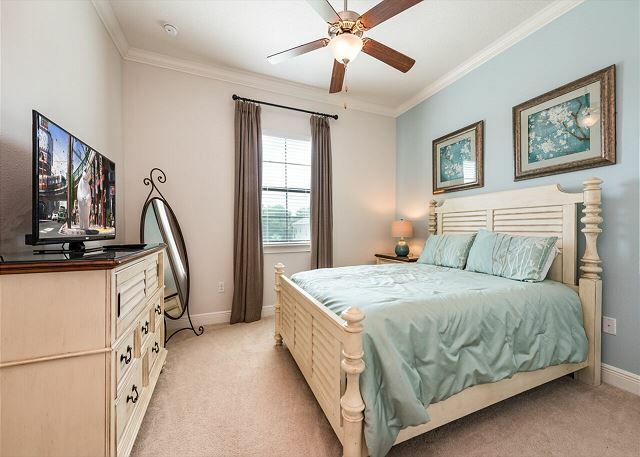 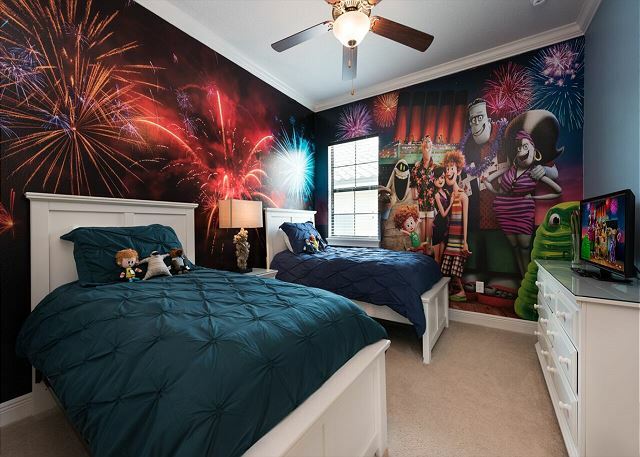 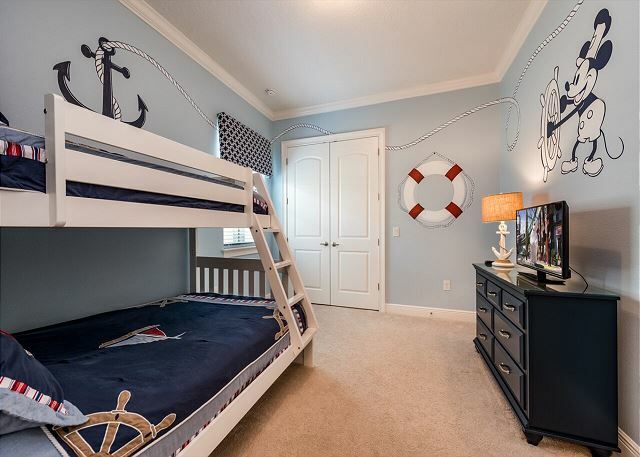 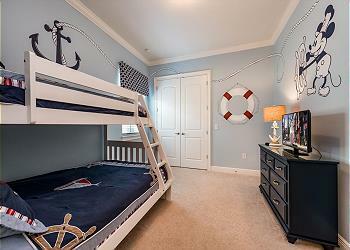 You will find on the main floor a king bedroom with the family bathroom right outside the room. 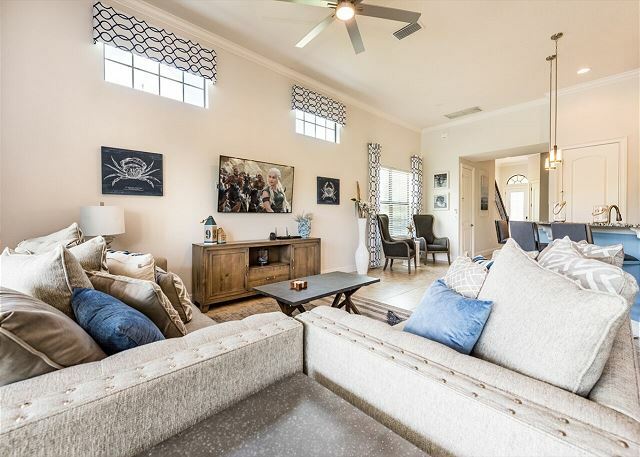 A large living room area with comfortable seating, large screen TV and a great view of the outdoors looking through the full wall patio doors. A fully equipped kitchen with all stainless appliances and everything you need to prepare your favorite holiday meal. Plenty of seating at the dining table as well as the breakfast bar and 2 seat breakfast nook table as well. 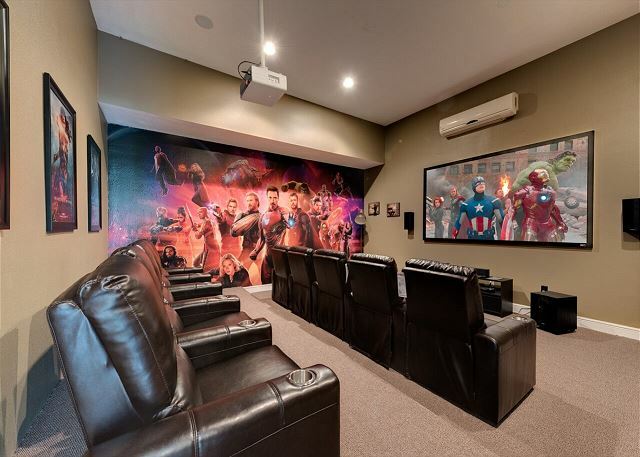 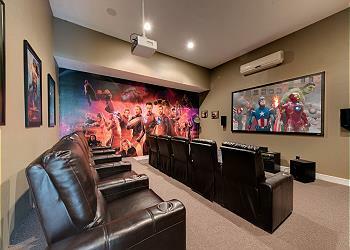 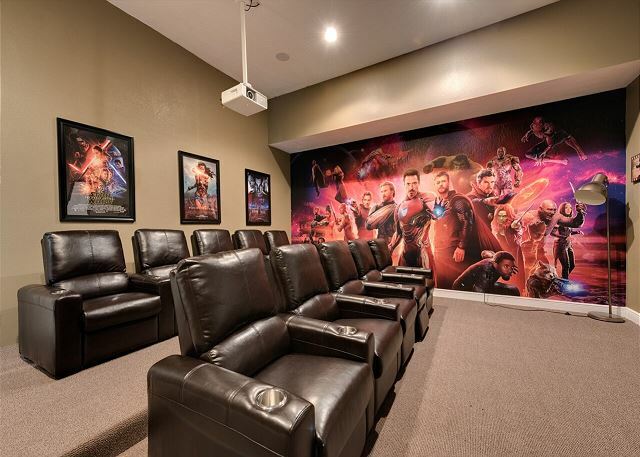 Enter the converted garage area to watch your favorite movie in the Brand new theater room with 100 inch screen and comfortable seating all in air conditioned comfort. 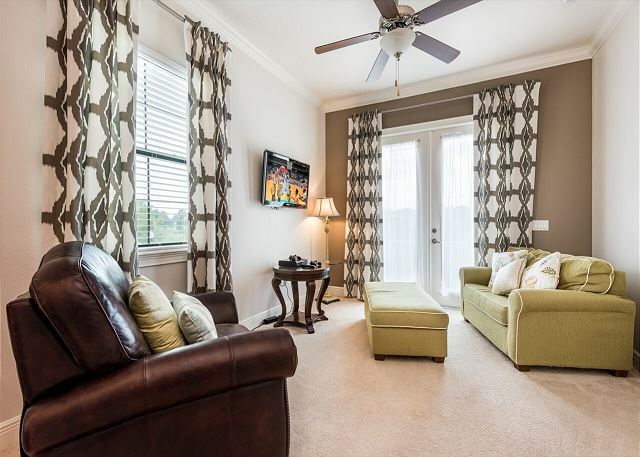 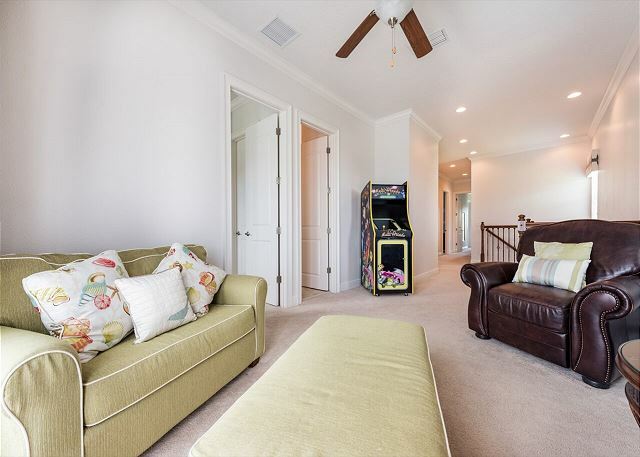 Upstairs you will walk to the additional lounge area with seating and TV with Xbox360 for the kids to enjoy after a long day at the parks. 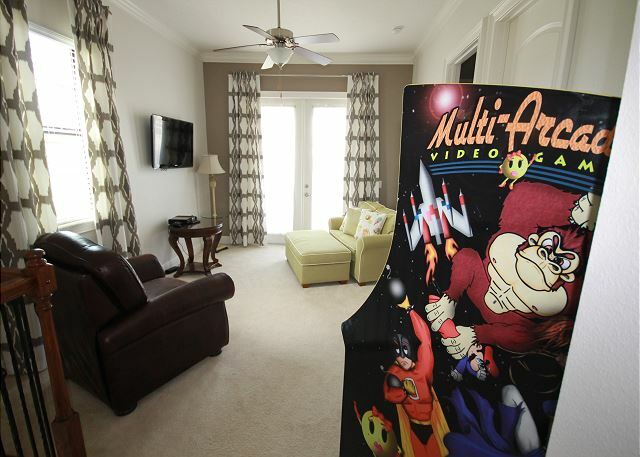 Enjoy hours of fun with the Multi-game arcade in the loft area. 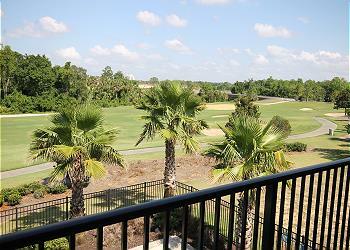 You will find 4 additional bedrooms upstairs as well. 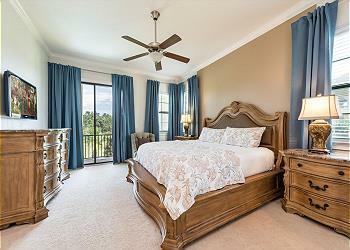 A queen bedroom with bath outside the room, a room with 2 twin beds with en suite, a room with twin/full bed and en suite, and a large master suite with balcony and en suite. 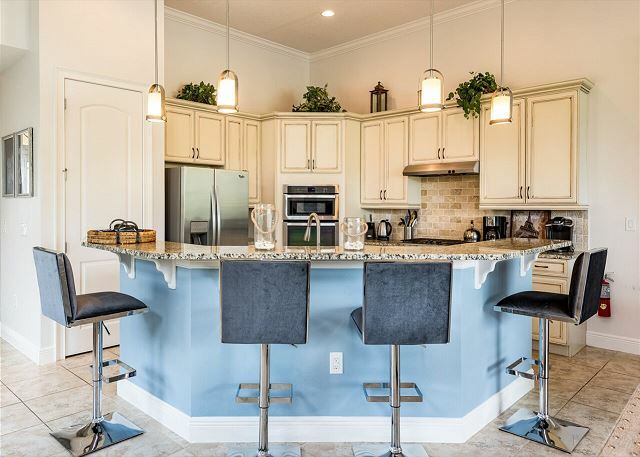 This home is a perfect getaway for all to enjoy and has everything you need to make wonderful memories that will last for a lifetime.